Cost - $185 NEW, special price - $145! This course provides candidates with the knowledge and skills needed to manage emergency first aid situations and deliver competent emergency care until the arrival of professional medical support. Once completed, candidates will obtain a first aid certificate that is valid for three years. 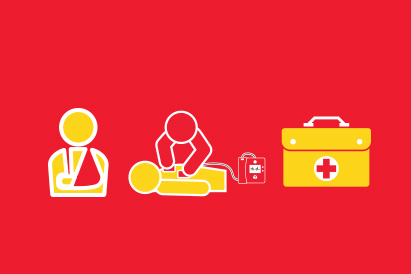 The Provide First Aid course is nationally recognised WorkCover approved training. Three (3) years from date of course. It is recommended by the Australian Resuscitation Council that the CPR component of this course be updated every 12 months.